Paul has a history in the co-operative and social enterprise movement going back more than three decades. From 1982 to 1989, Paul was a co-operative development worker with Leicester & County CDA. In this role, with colleagues, Paul advised and supported new start and existing co-operative businesses and promoted the co-operative sector. 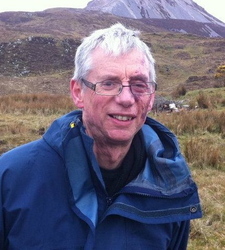 Paul has also been active in the traditional consumer co-operative movement, having served on the members’ relations committee of the former Leicestershire Co-operative Society. Paul was a columnist for the fortnightly Co-operative News magazine for more than 20 years. Since leaving Leicester CDA, Paul has retained close links with the co-operative and social enterprise sectors. This has included undertaking a number of commissioned projects. A series of guides for Social Enterprise London on how to set-up social enterprises. Case study on the social co-operative sector in Milan. Researching and reporting on co-operatives in Northern Ireland for the Northern Ireland Co-operative Forum and Co-operatives UK. Making a presentation on the state of the economy for staff at The Co-operative Bank. Author of New Mutualism: Working with the Grain report on regional economic development, published by the Co-operative Party. Author of New Mutualism: A Solution for Renewed Councils, published by the Co-operative Party. Providing training and advice services to new start social enterprises. Writing a report for Caseda on the opportunity for energy co-operatives. Writing Celebrating the Co-operative Movement’s contribution to social, economic and environmental well-being for Greening the North. Author of chapter in Banking and Social Cohesion: Alternative Responses to a Global Market. Public speaker at several annual conferences on the crisis at The Co-operative Bank and the Co-operative Group.